14 custom layouts with sidebar and full width including exclusive maintenance mode layout. Customized blog layout with read more break and h1 title. Custom block quote and scroll to top icon. Drag & drop header and footer. Check out the complete features in the below section or view demo of WebSense theme. 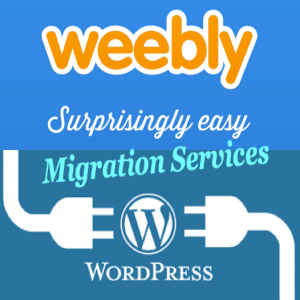 Category: Weebly. 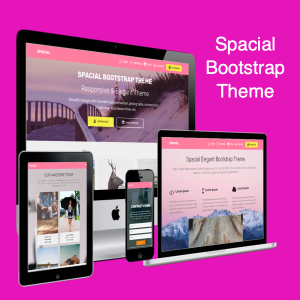 Tags: Free Theme, Theme, Two Columns, Weebly. 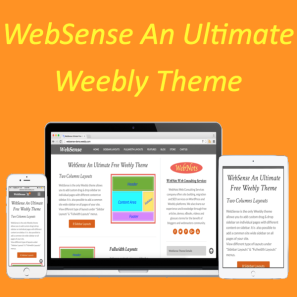 WebSense is an ultimate free Weebly theme from WebNots with ultra responsive layouts. There are 14 custom layouts offered which include custom sidebar on individual page, common sidebar on all pages, full width layouts and an exclusive maintenance mode layout. The blog index page of WebSense theme will show the post and sidebar sections with background color. 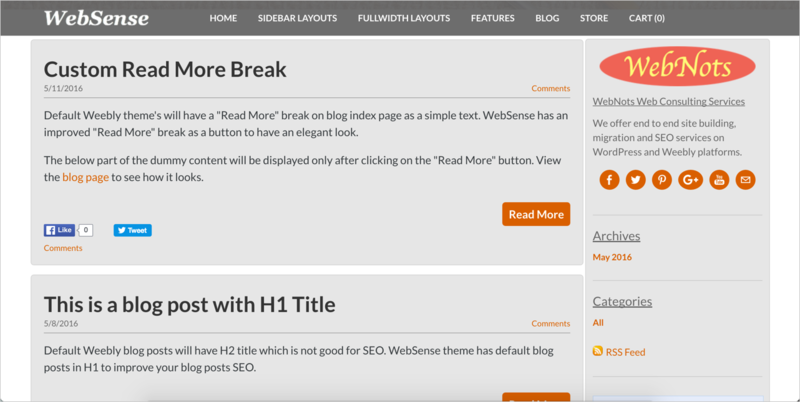 Each posts can have a “Read More” button and all blog posts will have H1 title to improve SEO. 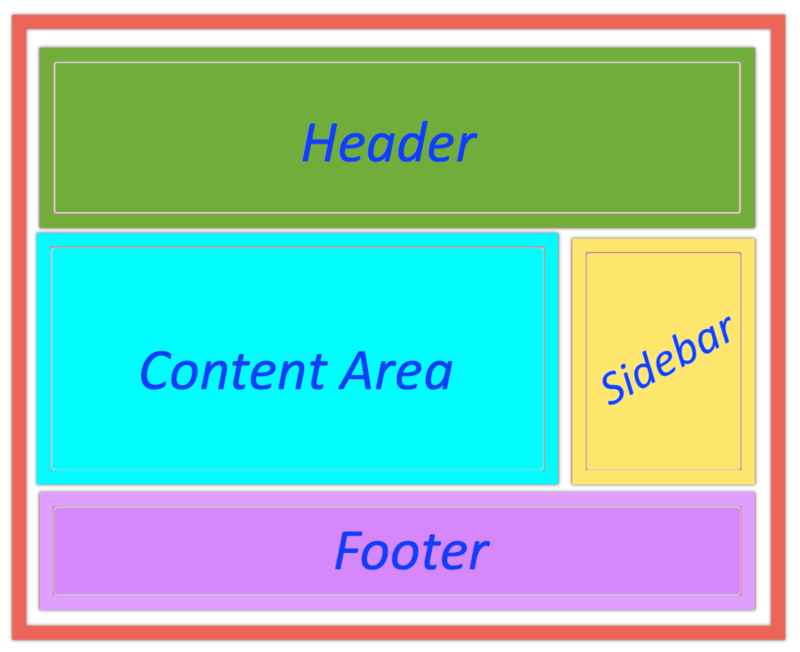 Elements can be dragged on the header and footer area similar to content and sidebar area. 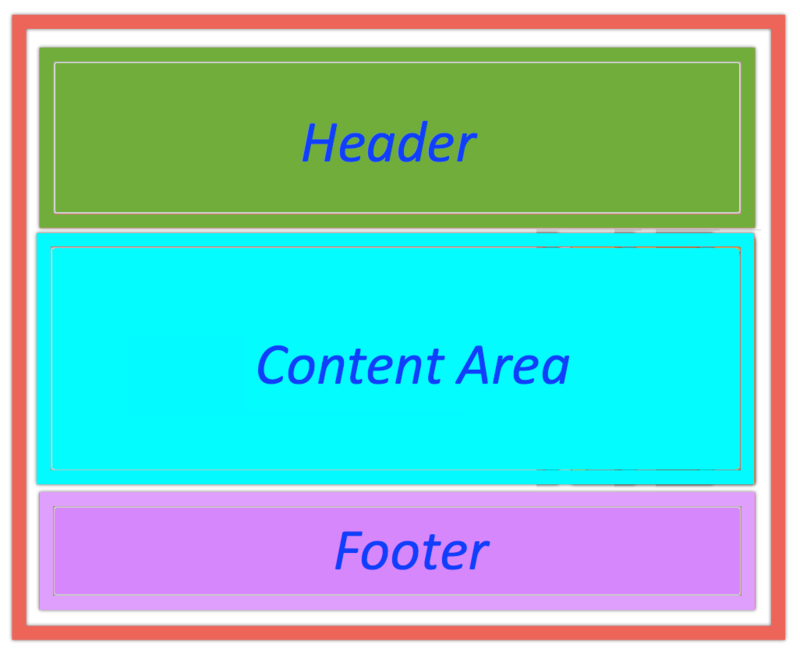 Both header and footer have parallax effect to slide content on the fixed background image. WebSense theme has self-hosted font icons, so you can any widgets having font icons without any additional setup or linking. 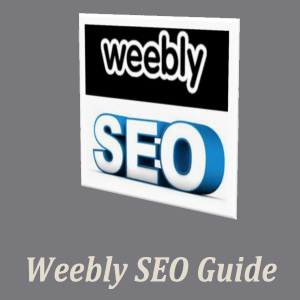 Learn here how to use font icons with Weebly also check out the font icons widget for Weebly. Smooth scroll to top icon. Custom 404 page example for improving user experience. Custom block quote with the drag & drop default blockquote element. Image hovering effect and rounded corner images. 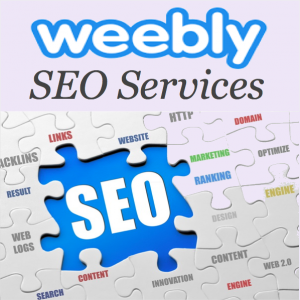 WebSense is a copyrighted theme from WebNots Web Consulting Services and offered as free under GNU General Public Licence V 3.0 or later.